Have you received an email that contains alarming language about the health of your website or online marketing efforts for your company? Don’t worry, Access Publishing is here to help clarify what this type of SPAM email is. We will show you what it may look like and what type of language it may contain. 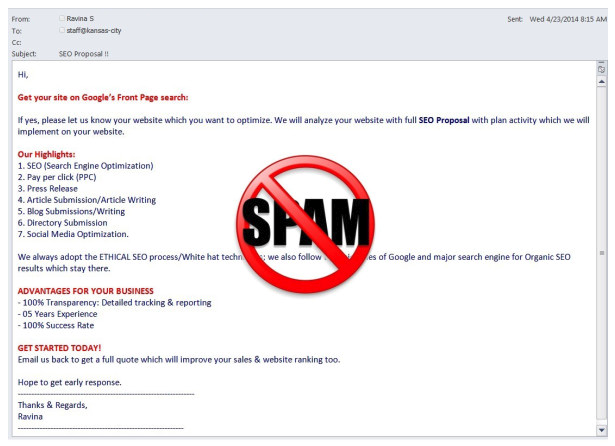 Beware – Lower level offshore SEO companies, especially from India, have been known to rely on spam email tactics and robocalls pretending to be Google or Yelp. This helps them to attract new customers. Many times, these SEO companies attempt to make contact with business owners and other staff members through Spam emails. These emails may contain alarming words and false information to perpetuate fear into the recipient. These emails are written to raise false “red flags” to grab the attention of the reader. At Access Publishing, we understand the way it can feel when receiving and then opening an email such as this. This article will help to shine some light on these type of spam emails. Take a moment to look at the examples below. 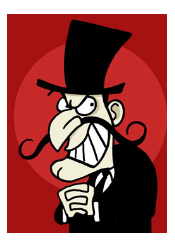 These companies generally create false stats and other false information about your companies online presence. These emails may state that your website is “not ranking in Google” or that you have a great many “SEO errors” on your website. These companies many times “GUARANTEE RESULTS.” This type of language can be alarming to read. These shady companies generally scan the internet for company emails to send their false information to. The hope is, after opening this type of email, fear will lead the recipient to open the email and then sign up for their services. This is the point when the sales pitch will commence. The good news is that Access Publishing’s Local Search service has been spreading your business information across the internet and your business is now easily found online. This is great for customers and potential customers. With your enhanced internet presence, your potential clients and clients can now find you much easier. However, our SEO efforts have also made your company more visible for this type of lower level SEO company to find and then contact you. 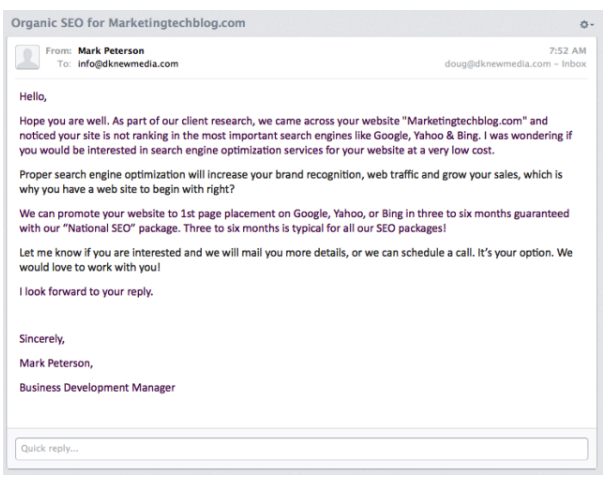 Access Publishing can assure you that you can feel confident to ignore these type of SEO emails. You can also feel confident deleting this type of spam. However, if you ever feel uncomfortable with this type of spam email, please feel free to send us the information for review at noah@accesspublishing.com. These emails can be confusing and we do understand.